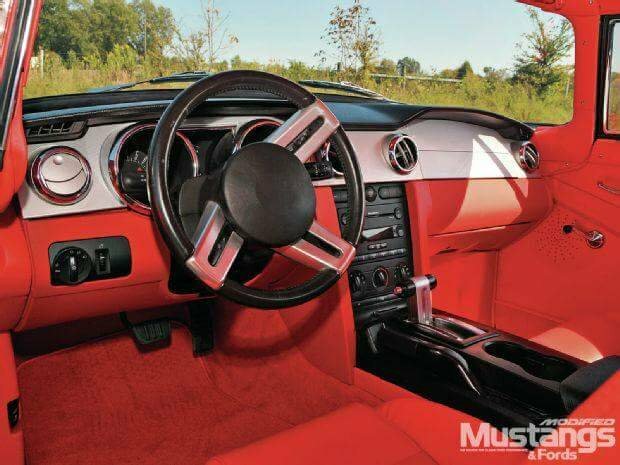 2011 interior in a 69? 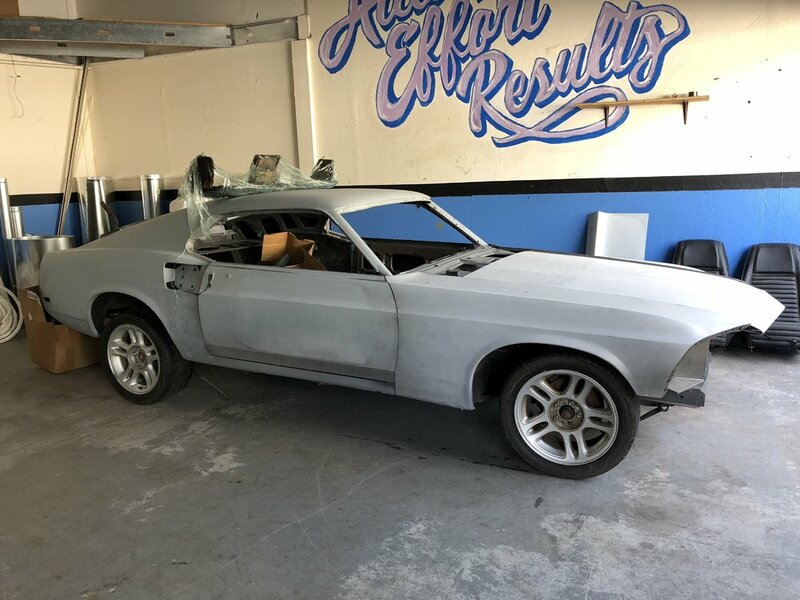 I just picked up basically a shell of a 69 fastback, I also decided to do a Coyote engine. So I picked up a wrecked 2011 5.0, just wondering if its possible to use the 2011 interior, or is that just crazy?? People have done it before but I don't know why you would want to, those interiors are so plain and boring. If I remember correctly, things like the dash will need to be cut to fit the dimensions of the interior. Also the rear seat will take some work. Front seats will fit but you will need to lower or remove the seat risers and poss modify the trans tunnel a little bit to get them over far enough. I would see what the width is in the 69 and compare with the 11 ,i think the 11 is quite a bit wider . I am planning about the same thing with a wrecked 2007 into a 56 ford ,the 56 is 3/4 inch wider than the Mustang so it fits easily . I will be using almost everything from the Mustang ,3 valve 4.6 ,5 speed auto ,AC unit and all . We have a customer on our MTF forum that's installing a 69 shell on a complete 2012 Shelby platform. He's doing a ton of custom body modifications. 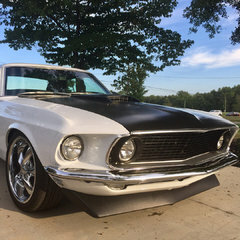 I have seen a 1969 Mach 1 with a 2005 to 201xx interior, similar to what Ridge is showing. My discussion with the owner was that the manhours involved were extreme, and not worth it in the end. But, a personal decision for sure.